No proposals for Savchenko’s exchange have been made for almost two years. President Petro Poroshenko has said he is committed to have the Ukrainian officer and MP remanded in Russia, Nadiya Savchenko, exchanged if the corresponding offer is made, "Interfax-Ukraine" reports. "If the question is whether I am committed to take the decision on someone’s exchange, today, I will say for the first time: yes. 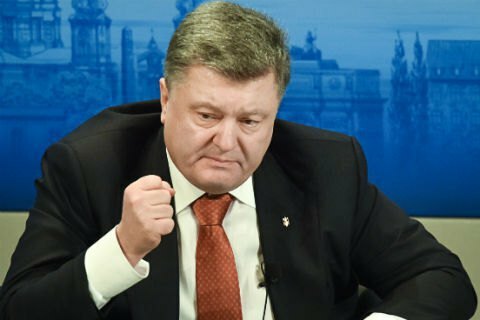 As President of Ukraine, I am committed to use my constitutional right and exchange Savchenko, to do my best to return her home," Petro Poroshenko said at the joint press-conference with President of Turkey Recep Tayyip Erdoğan in Ankara on 9 March after the negotiations of the delegation of two countries. At the same time, he emphasized that "for almost these two years, there have been no offers on Savchenko’s exchange from credible sources." Ukrainian President also called the trial over Savchenko being held in the Russian Federation a farce and emphasized that she had been kidnapped and had nothing to do with the accusation she had been brought against. As reported before, within his visit to Turkey, Petro Poroshenko assured that Ukraine had made every effort to release Savchenko.